Was patient with apparent ties to royalty worth breaking hospital protocols? He wanted the best medical care and came to the posh Pavilion at Brigham and Women’s Hospital to get it, taking over two penthouse rooms with sweeping views for a seven-month stay. The new patient had apparent ties to Middle Eastern royalty, and brought along a personal chef and an entourage of seven attendants. This, by itself, is not unheard of in the cost-is-no-object world of VIP medicine, in which elite hospitals in Boston and other cities accommodate wealthy patients, some from distant lands, who can afford the full tab for care — and for premium amenities like deluxe rooms that cost up to $800 a day more than regular ones. Commonly addressed as a prince, the patient also seemed to arrive in 2014 with some definite ideas about how he wanted to be treated, and Brigham staff tried hard to please him even when that ran afoul of hospital policies. It’s a phenomenon common enough that it has a name — VIP syndrome — and hospitals across the country, even as they relish the extra revenue from treating such patients, have had to work hard to avoid its side effects. In the case of the Brigham and the prince, there were many. The high-profile patient was diagnosed with a drug-resistant infection, but he found it off-putting for doctors and nurses to approach him wearing protective gowns, as is required. So they made an exception. His personal aides were permitted to give him routine medications — otherwise barred at the Brigham, as at many other hospitals. The prince also gave thousands of dollars in gratuities to staff — though such gifts are forbidden at Partners Healthcare hospitals like the Brigham. Nurses said they turned the envelopes over to managers. And serious concerns were raised about the quantity of painkillers regularly prescribed and delivered to the patient from the hospital pharmacy. All of this aroused concern within the Brigham and eventually at the Massachusetts Department of Public Health. The state cited the hospital last year for ignoring several of its own policies in caring for the prince, whom it identified only as patient #4 in records obtained by the Globe through a Freedom of Information request. These challenges also prompted an internal hospital investigation of 13 nurses for allegedly mishandling the patient’s narcotics, seven of whom were suspended with pay during the inquiry, and all of whom were ultimately cleared, according to two people with knowledge of the investigation. A public health department pharmacy report obtained by the Globe was heavily redacted to protect patient privacy, but it appeared the state found that the drugs he was prescribed were mostly appropriate. 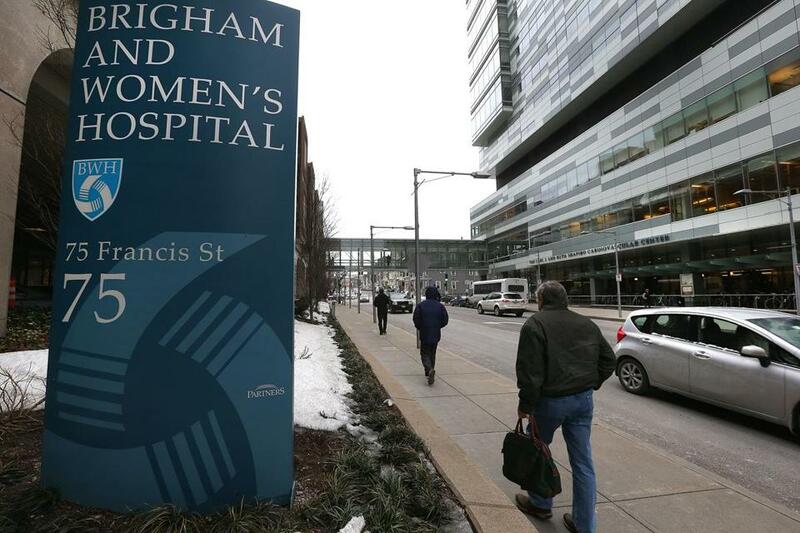 Brigham and Women’s Hospital spokeswoman Erin McDonough said hospital officials could not comment on an individual patient’s case — or even verify a patient was there — because of privacy laws. Generally, she said, the Brigham has extensive experience treating high-profile individuals and strives to be consistent, giving every patient the same high standard of clinical care. “We have been challenged by patients who assert expectations outside of our norms, and we know that we need to do a better job in educating staff about unintended consequences of such accommodations, and in supporting them when this occurs,’’ she said. The episode did prompt the hospital to clarify for its staff policies on matters of infection control, drug administration, and private duty nurses, according to its written response to the health department, also obtained by the Globe. The hospital also recently appointed a chief clinical officer to oversee Pavilion patients with special circumstances and to assist staff when a patient requests services outside the ordinary standard of care. The embarrassing episode is a vivid example of what can happen when administrators, doctors, and nurses veer from their usual clinical judgment and behavior because of a patient’s special status and demands. The term VIP syndrome is believed to have been coined in 1964 by Dr. Walter Weintraub, who wrote that his Maryland psychiatric hospital was thrown into turmoil when staff struggled to respond to the relentless requests of influential patients and their relatives. Leaders at the Cleveland Clinic said the problem may be more pronounced today because of the rise in medical tourism, with celebrities, royalty, and political leaders willing to travel far and pay whatever it costs to obtain the best care. It requires constant vigilance by staff and administrators, they said, to resist pressures to change usual clinical wisdom and practices — though high-profile patients are not the only ones who can be demanding. In 2011, the hospital published nine principles of caring for VIPs in the Cleveland Clinic Journal of Medicine, warning physicians against bending the rules, accepting lavish gifts, and automatically bringing in department chairs to care for the patient rather than a lower-ranking physician who may be more expert in the specific ailment. Dr. Jorge Guzman, lead author of the article, said the clinic treats many well-known politicians and executives and “that sometimes drives teams to do things a bit differently.’’ When he led the medical intensive care unit, there was pressure to create special intensive care rooms in units with more amenities — even though the patient would be farther from emergency care and a highly skilled ICU team. At the Mayo Clinic, based in Minnesota, Dr. Paul Mueller, chair of general internal medicine, said it makes sense to treat some high-profile patients on separate floors, where it is easier to maintain their privacy and security and their presence is less disruptive. But altering the actual medical care is a different story. VIP syndrome, he said, can lead caregivers to overtreat patients with unneeded imaging tests, for example, or to undertreat them by avoiding biopsies or other procedures that might be upsetting or painful. Often the pressure comes from a VIP’s entourage rather than from the patient, Mueller said. “The golden rule is, what would you do for the patient from Ames, Iowa?’’ he said. Other academic medical centers were reluctant to discuss the issue. Those declining to comment about VIP Syndrome were Massachusetts General Hospital, which offers its own luxury accommodations in the Phillips House, Johns Hopkins Hospital in Baltimore, and Boston Children’s Hospital, where the number of international patients is rising fast. Not all international patients are wealthy, and hospital trustees, prominent physicians, and community leaders also can be VIP patients. Former Boston mayor Thomas Menino was treated for cancer at the Brigham Pavilion. The prince was originally admitted to the hospital in 2012. He returned in 2014 for surgery, accompanied by a chef, a personal physician, six attendants, some of whom identified themselves as nurses, and a “helper/cleaner,’’ the health department report said. He had two rooms in the Pavilion, which offers concierge services, in-room offices, and gourmet food. The surcharge is $300 to $800 per night in addition to the normal cost of a hospital room and medical care. The prince slept during the day and stayed awake at nights, sometimes sending out for buffets of food, other times leaving to stay at a nice hotel. He was dispensed large amounts of prescribed narcotics, which some nurses were uncomfortable with, said the two people familiar with the situation. There were other issues, too. A physician wrote orders allowing the prince’s personal entourage to administer routine medicines, the report said, without naming the physician. His staff was also permitted to clean the intravenous catheter used to deliver narcotics to him. Under hospital rules, a private duty nurse can help only with “daily living” activities and provide comfort. Other special allowances put staff and patients at risk. When state investigators interviewed an employee identified as “nurse director #1’’ in the report, she said the patient interpreted the use of protective gowns as an indication they thought he was “dirty’’ and asked that staff not wear them. A physician told inspectors that he visited the patient five to seven times a week and did not wear protective gear because the patient “found it offensive.’’ And the hospital had no infection control policies in place for the patient’s personal staff, it told the state. The situation finally boiled over and someone identifying themselves as a Brigham staff member wrote an anonymous letter to the health department in November 2014, complaining about the situation, calling it unethical and unsafe. Soon afterward, the hospital began its own internal investigation. Dr. Robert Klitzman, a psychiatrist at Columbia University Medical Center, said VIP syndrome emerged as a theme when he interviewed physicians for his 2008 book “When Doctors Become Patients.” Many were treated as high-profile patients in their own hospitals, leading to benefits such as expedited care in the emergency room and direct access to specialists. But their status also hurt care at times, such as when caregivers skipped prostate exams because they were embarrassed. It was also hard for prominent doctors to keep their medical condition private. Mueller at the Mayo Clinic said personal staff there are not allowed to give medication or otherwise provide medical care. Gifts are trickier, because patients from certain cultures can be offended when presents are rejected. Mayo’s policy says that personal gifts to staff cannot be accepted and must be forwarded to the development office. Shareable gifts less than $25 in value are OK. But what if a patient threatens to leave if his or her demands for special care are not met? “Sometimes I have had to write that letter or have that conversation,’’ Mueller said.